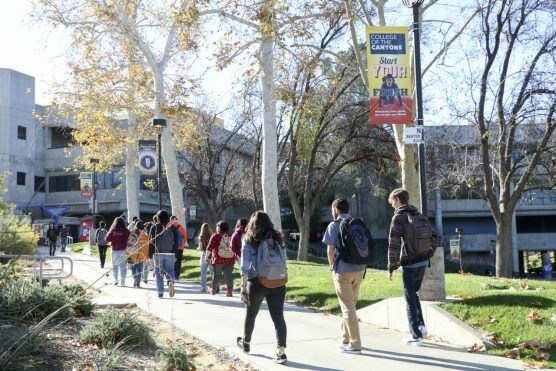 One of only three educational institutions to receive an incentive fund from SCAQMD, COC’s award was also the fourth highest of the $47.4 million granted to 26 various businesses, organizations, government agencies and utility companies. Jim Schrage, vice president of facilities planning, operations and construction at the college, said the award came as a pleasant surprise after Bloom Energy Corp. submitted a proposal on the college’s behalf, which was accepted in February. The SCAQMD award will go toward removing the college’s two co-generators, upgrading the existing cooling tower, and adding a new chiller to compensate for the lost production of cold water currently produced by the existing co-generator. In addition, Bloom will increase the current fuel cell project capacity from 1 megawatt to 1.5 megawatts. The end result will be a dramatic reduction of the college’s emissions, carbon footprint, and dependency on the energy grid. The award will also help expand the college’s recently-approved fuel cell plant on the west side of campus, and reduce the cost of electricity produced by the fuel cell plant over the life of the system contract, which is 15 years, explained Schrage. A central plant is a facility that houses chillers, boilers, and cooling towers that serve as a single supply source for hot water and chilled water that services multiple buildings from a central location. The college has made use of central plants to reduce waste and create an energy efficient campus from the very beginning. COC installed its first central plant on the roof of what is now Bonelli Hall, but as the campus continued to grow, the need for expansion of the central plant became apparent in the early 1990s. Chancellor Dr. Dianne G. Van Hook secured funding for the South Plant, located near Mentry Hall, which was the first real central plant in the California Community College System. Currently the college relies on the original Bonelli Hall central plant, the south campus plant and a third plant on the north side of campus for its heating, cooling and hot water needs. As an additional step toward sustainability, the college added co-generation capabilities to the north and south central plants, which allows the college to produce its own electrical power via natural gas fired generators. These co-generators use the waste heat from the exhaust to produce both hot and cold water for normal central plant functions, which dramatically reduces the college’s power costs. The college’s new fuel cell plant will provide the campus with a 1.5 megawatt energy system with enough reserve capacity for the whole campus. Schrage expects the college’s transition to fuel cell power to be completed by February 2020. SCAQMD is the air pollution control agency for Orange County and major sections of Los Angeles, Riverside and San Bernardino counties. “By partnering with and providing funding to projects that coincide with SCAQMD’s goals, we can begin to replace older, higher-emitting appliances and equipment, support infrastructure that promotes cleaner and renewable fuels, upgrade engines and vehicles to zero and near-zero emission technologies and help green our ports,” said SCAQMD Executive Officer Wayne Nastri in a news release.